AMD has announced the Mobility Radeon HD 3600 and HD 3400 series of mobile discrete graphics cards for notebooks which, like their desktop-based cousins in the Radeon HD 3800-series, are manufactured using TSMC’s 55nm process technology. 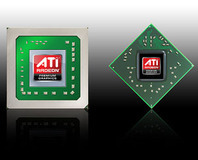 “ATI Mobility Radeon HD 3000 series from AMD showcases our technology leadership by delivering customers the most feature-rich family of notebook graphics solutions we've ever produced,” said Matt Skynner, vice president of marketing in the Graphics Products Group at AMD. Products in the Mobility Radeon HD 3600 series feature 24 five-way superscalar shader units (120 stream processors in total), just like the Mobility Radeon HD 2600 series products they’re replacing, but in addition to the die shrink, there is also support for DirectX 10.1, PCI-Express 2.0 and double precision at 1/4 speed. Like the Mobility Radeon HD 2600 series, the HD 3600 products will feature the same 128-bit memory interface and there is also the PowerPlay functionality that recently made its move into the desktop arena. 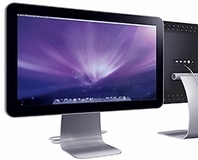 What’s more interesting though is the inclusion of integrated DisplayPort connectivity, which means that AMD has beaten Intel to the table with products supporting the new display interface. The HD 3400 series follows the same trend set by the HD 3600 products, meaning that there’s a 64-bit memory interface, eight five-way superscalar shader units (40 stream processors). Both of the new product lines include support for AMD’s Unified Video Decoder that brings full hardware acceleration of video decode for content such as Blu-ray and HD DVD movies encoded with H.264 or VC-1 at up to 1080p. Got a thought on AMD’s new mobile graphics chips? Share it with us in the forums.